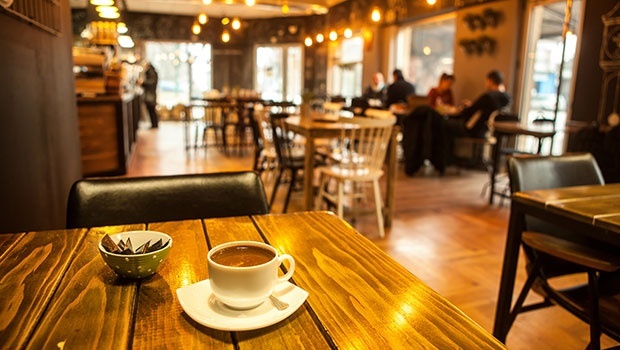 The food, the décor and the relaxing atmosphere – these restaurants will leave you a loyal fan and give you lots of new ideas for your home. 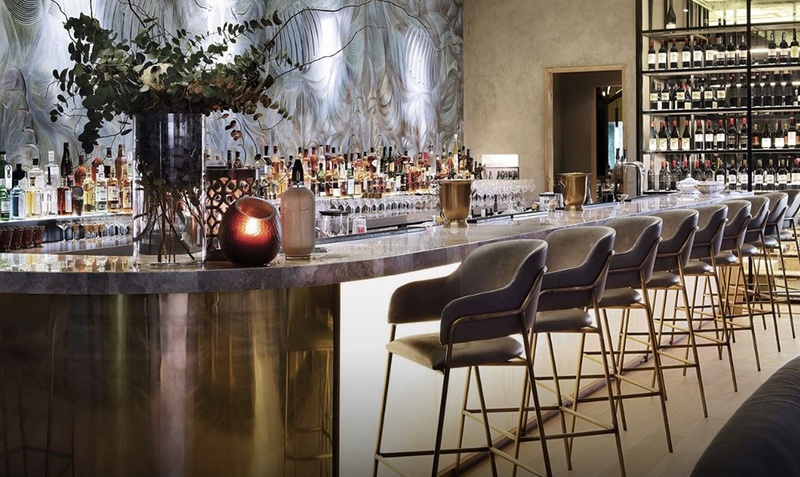 For a romantic evening out or dining in luxury, Marble’s decor is a good mix of contemporary elegance and timelessness. Despite its size, cosiness is achieved by the fine balance of various textures and subtle colours. Earthy and neutral tones are offset against gold and turquoise accents. Contemporary eye-catching hand woven macramé screens separate the private dining rooms. With a sunset view over Jozi’s leafy suburbs, Marble lacks nothing. DÉCOR TIP TO TAKE HOME: Mix earthy and luxurious textures, such as wood, marble, wallpaper and gold to achieve luxury living that still feels homely. La Boqueria is Jozi’s latest trendy restaurant. It has a relaxed yet exotic atmosphere, created by its warm and moody colour pallet. 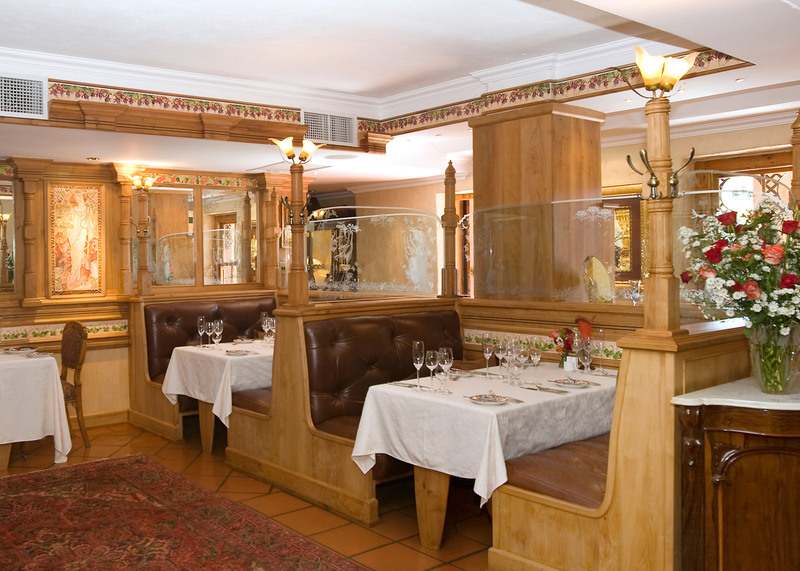 Its most distinct feature is the mural of a Spanish woman, which sets the mood for the rest of the restaurant. DÉCOR TIP TO TAKE HOME: Create ambience with dark colours, livened up with the lavish use of plants. A mural always adds a personal touch. Babel’s contemporary farm look is clean, fresh and quirky. 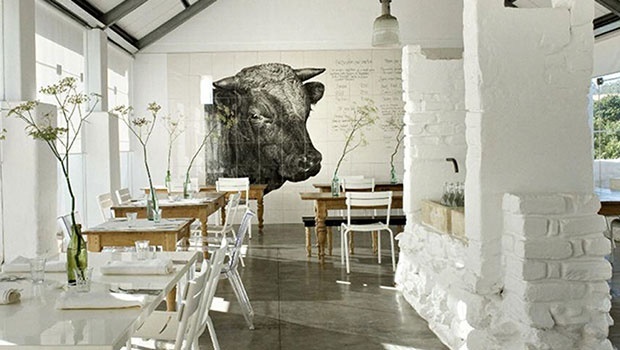 The old Cape Dutch cow shed structure gives character to the fresh white interior with its big glass windows. Wholesome and understated best describe this celebrated restaurant. DÉCOR TIP TO TAKE HOME: When you combine different styles, paint everything white to unify the look. Add touches of wood for warmth. This vibrant and eclectic restaurant with its booth seating is inspired by Durban’s rich heritage, resulting in a mix of tropical, Victorian and Art Deco elements. Marble, raw brick, blues, teals and greens give it a contemporary edge. The open plan kitchen is the heart and focal point of the restaurant. DÉCOR TIP TO TAKE HOME: Be bold with colour if you want a more quirky interior. 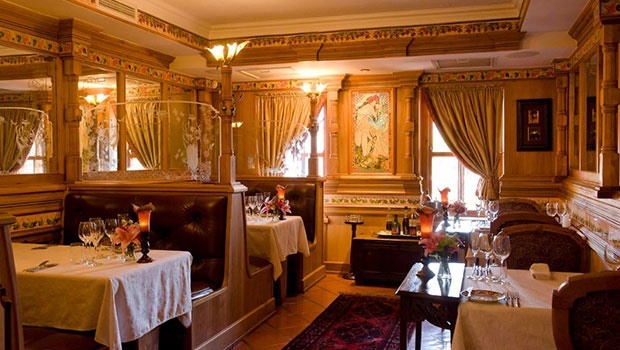 This lavish restaurant decorated in the Art Nouveau style of the Belle Epoque period, is inspired by the chef’s love of Parisian restaurants. Romance is key, with booth seats for intimate dining. The setting is as extravagant – situated at The Orient boutique hotel – a Moorish inspired palace. DÉCOR TIP TO TAKE HOME: Ornate gold frames, dark wooden furniture and heavy jacquard floral curtains are the elements needed to create that lavish old-world feel. 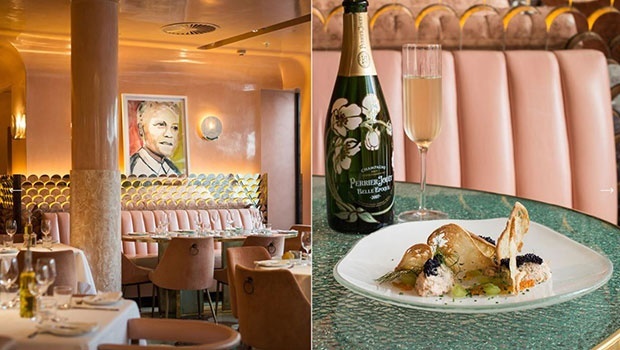 ‘Inspired by African glamour’ is the catchphrase of The Flamingo Room at Tashas. True to its name, pink and other 1950s pastel colours create a retro Durban feel with Art Deco furniture and palm trees to match. DÉCOR TIP TO TAKE HOME: Why not try pink for a fun and frivolous look, just get the shade right!